Climbed Mount hillary from the North from the coillte forest opening south of banteer. there is a map of the walks at the entrace. There are actually two peaks btw. 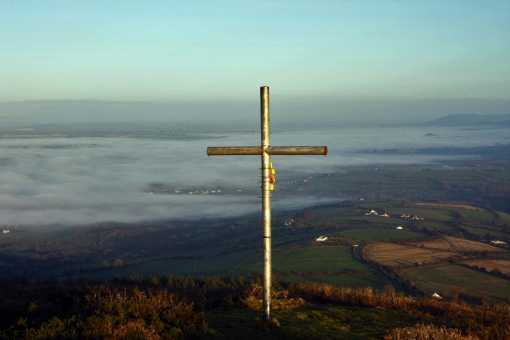 on the east its marked by a cross looking east towards mallow, on the west is the highest point looking west towards mushera and claragh mountain. the trig pillar here registers 1280 feet on my altitude watch but dont know how accurate that is.